If you have a tennis nut in your family, we have the ultimate tennis gift. It’s a combination gag gift that’s still full of tremendous and little known tennis tips that will help anyone play better tennis and beat more opponents. 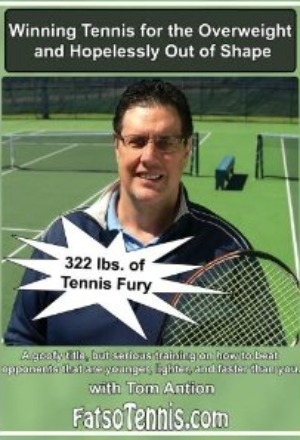 This unique tennis gift can be both a gag gift and a serious training video. It's full of little known and advanced tips on beating opponents younger, lighter and faster than you. Order today and we guarantee Christmas delivery!